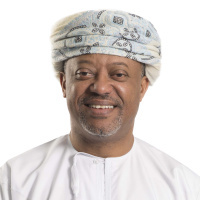 he New Age Banking Summit will include participants from central banks, government and regulatory bodies, key associations, innovative companies developing the latest technologies and banks seeking to implement them. © New Age Banking Summit Europe 2018, All Rights Reserved. No part of this website may be reproduced or transmitted in any form or by any means without the prior written permission of the event producer. Liferay, Inc., founded in 2004 and headquartered in Los Angeles, is an open source provider of software. A Leader in the Gartner Magic Quadrant for Digital Experience Platforms, Liferay has 21 offices around the world and is present in 40 countries through its large partner network. The Liferay platform began as an open source project in 2001 and today counts a community of about 200,000 members and more than 500,000 deployments worldwide. Companies around the world rely on Liferay technology for its rapid development capabilities, impressive scalability, proven reliability and open source savings. Companies such as Carrefour, Coach, Danone, Domino’s, Lufthansa Aviation Training, Siemens, Société Générale and VMware use Liferay. Learn more at liferay.com. Hortonworks is a leading innovator at creating, distributing, and supporting enterprise‐ready open data platforms. We have a single‐minded focus on driving innovation in open source communities such as Apache Hadoop, NiFi, and Spark. Our open Connected Data Platforms power Modern Data Applications that deliver actionable intelligence from all data: data‐in‐motion and data‐at‐rest. Along with our 1600+ partners, we provide the expertise, training. and services that allows our customers to unlock the transformational value of data across any line of business. As the First Blockchain based Shopping & Rewards Platform, SUBAJ offers a disrupting technology into the world of Retail & Reward Commerce. With Augmented Reality, GeoDrop Technology, Social Gamification and Artificial Intelligence, SUBAJ shows how Mixed Reality with SUBAJ Token as Loyalty Points will unravel the Rewards and Shopping sector while using these Technology to help deprived children of the world through the SUBAJ CHARITY FOUNDATION project. “The Cyber Startup Observatory is a global initiative to research the most important cybersecurity innovation hubs in the world and to share that insight with financial institutions, governments, e-commerce, critical infrastructures, major corporations, universities, law enforcement agencies, manufacturers and SMEs globally to create together a safer digital world. The Polish Bitcoin Association was instituted to increase social awareness and make easier learning about the digital technology that is Bitcoin. The driving force behind the association is its resolve to move Bitcoin ever closer to the status of a universally accepted medium of exchange. Having secured that, a new economy will come into view--open to all, unconstrained and free of centralized money-issuers. Cryptocurrency holders will not be beholden to banks and other intermediaries in their everyday dealings. This will in turn eliminate the need for fees and territorial and political limitations. The association is based in Poland and its membership includes various users and proponents of Bitcoin such as programmers, entrepreneurs, lawyers, financiers, accountants and others with interest in Bitcoin and other cryptocurrencies. As part of its stated goal, the association issues publications (including Internet-based) and delegates speakers to conferences, seminars and other gatherings. Individuals reached by these efforts learn about how easy bitcoin is to use and how to use it safely. The association also works to integrate experienced bitcoin users into a single forum where knowledge and experience can be freely exchanged. Whenever possible The Polish Bitcoin Association acts as an industry representative with revenue collection and regulatory agencies. It likewise strives to help bolster cryptocurrency exchange security. The Chartered Alternative Investment Analyst (CAIA) Association, founded in 2002, is the world leader in alternative investment education. The CAIA Association is best known for the CAIA Charter. Earning the CAIA Charter is the gateway to becoming a member of the CAIA Association, a network of over 9,000 investment leaders located in 90+ countries. CAIA also offers the Fundamentals of Alternative Investments Certificate Program®, an online course that provides an introduction to alternative investing. CAIA is considered a leading authority on industry trends and developments worldwide. Mobey Forum is the global industry association empowering banks and other financial institutions to lead the future of digital services. Mobey Forum is an independent non-profit organisation whose sole purpose is to benefit its close community of members, bringing together banks, technology companies and financial institutions. Women Who Code (WWCode) is an international nonprofit dedicated to inspiring women to excel in technology careers. WWCode is building a world where women are proportionally representative as technical leaders, executives, founders, VCs, board members and software engineers. BlockExplorer News was created in 2017 to provide current, in-depth coverage of cryptocurrency, blockchain, and other related news. We strive to provide high-quality, factually correct, and unbiased reporting. Tele Info Today (www.teleinfotoday.com) is one of the best online service providers in the IT and Telecom community. It’s a complete Telecom B2B portal which facilitates Telecom traders, Telecom manufactures, Telecom sellers, Telecom suppliers in improving their business relationships. She has been working for many banks in Poland and Europe, including Alior Bank (Director of Digital Banking Division -Retail Customers - responsible for digital banking development and maintenance both for Alior Bank and T-Mobile Banking Services in Poland and Romania), Bank BPS (Director of Internet and Mobile Banking Department), Getin Noble Bank (responsible for VTM project, including biometric solution and also responsible for internet and mobile banking of Getin Bank and Noble Bank), Kaupthing Bank (Managing Director), Raiffeisen Bank, Dominet Bank, Industrial Bank. She also lectures about digital banking and biometrics, i.e. at the Warsaw University of Life Sciences in Warsaw. Adebayo Surakatu is globally known as an Innovator, Technologist, Serial Entrepreneur and Visioner. 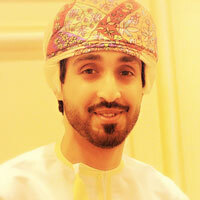 He studied Geoinformatics Engineering with over 10 years of experience in Mobile Geospatial Technology. He has been the Vice President Sales and leading Technologist at a Swiss-based company where he successfully implemented Mobile Payment & GeoCommerce Technology in Retail-Commerce. He currently consults some Government Agencies on Blockchain and FinTech. Over the course of time, Mr. Surakatu has attained immense experience in building, implementing and executing start-of-the-art technologies in the finance, commerce, and retail sectors. Currently serving as Founder & CEO of SUBAJ, Surakatu is building the worlds first Blockchain powered Shopping and Rewards Marketplace using the latest technologies like Augmented Reality, GeoDrop Technology, Social Gamification, Artificial Intelligence, Mixed Reality and BigData all on the SUBAJ BLOCKCHAIN PLATFORM. David Cauchi has been employed with the Information and Data Protection Commissioner’s Office since 2003, after successfully completing his studies at the University of Malta, where he obtained a Degree in Management. 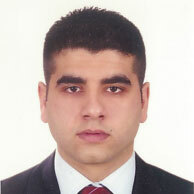 Mr Cauchi has since then formed part of the technical team, and currently occupies the position of Head Compliance. During these years, Mr Cauchi has developed a level of expertise in data protection matters, particularly in handling complaints, carrying out inspections and audits, dealing with cross-border issues, including international data transfers, providing guidance and raising awareness on data protection to the various sectors, including banking and financial services, online gaming, employment, and the public at large Mr. Cauchi is currently serving his first term as Chair of the SIS II Supervision Coordination Group, having been elected in November 2017, after serving as Vice-Chair for the previous four years. Chris manages International Solution Engineering and Value Management at Hortonworks. Prior to Hortonworks, he worked as Solution Architect at 10gen and was responsible for driving MongoDB projects across Europe. Prior to this, Chris spent time at SpringSource and RedHat/JBoss working with clients on their next generation Java platforms. Chris was awarded a MSc in Software Engineering from the University of Oxford and a BSc (Hons) in Computer Science from the University of the West of England. He has spoken at events including SpringOne, NDC, Oredev and Berlin Buzzwords. Fernando has a Physics degree from Universidad Complutense de Madrid. His career in Santander was formerly focused on Channels Architecture for all the major transformation projects around the world where the bank is present. As part of Corporate Technology, he is the CTO for the Security domain, and he is currently involved in the “Digital Trust” workstream inside Santander, in charge of researching all the technology aspects involved in Digital Identity trends (biometrics, cybersecurity, privacy, etc.) as well as leading innovative proof of concepts to assess feasibility and possible uses of new technologies that form the Customer Centric security ecosystem. Gary is leading Santander UK GDPR transformation programme and assisting the Group in its other European jurisdictions. Gary is a qualified chartered accountant, and a highly accomplished senior executive with 20 years’ extensive experience operating at board level in a variety of roles within a number of complex organisations covering Financial Services, Leisure and Retail. 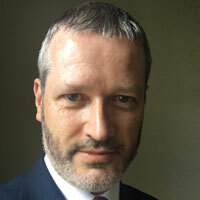 Gary is also a Non- Executive Director with a number of smaller organisations. Giovanni Minchella is an account manager with Liferay, where he oversees sales in the Central and Eastern European countries - in particular to banks and telco operators - helping companies to build digital customer experiences and internal business processes that are simple, powerful and scalable. In the last 10 years, Giovanni managed outsourced sales teams in Service source and was responsible for VMware’s top partners’ and distributors’ renewal sales across EMEA. Prior to joining Liferay, Giovanni drove partner sales for Symantec/Veritas in the UK, where he achieved growth ahead of the market. Giovanni’s interests lie in economics, politics and economic development; he recently served on the board of directors for e-ducare.org, an organization helping children in Vietnam and Ireland to attain an education. Seasoned strategy advisor specialized in technology risk. ICT strategist, fintech and emerging transaction technology expert with years of experience in innovation management, technology risk and telecom infrastructure. Magda’s skill includes IP connectivity expansion into European markets, global business transformation strategy projects, telecom software engineering projects management and critical infrastructure security network analysis. 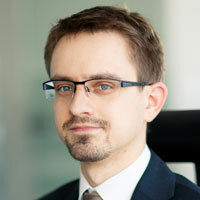 Michał Hoppel – Chief Data Officer in Bank Zachodni WBK/Santander Group, responsible for enterprise-wide data management including data quality and lineage. IT scientist, widely experienced in IT including development, testing, data management and service delivery. Experienced in BCBS239 and D-recommendation implementation, currently facing GDPR challenges. Mitesh Soni is a Senior Director of Innovation and Fintech at Finastra the world’s third largest financial software and services company. He is a global banking industry expert with more than 20 years’ experience driving business transformation, digital disruption, and business model redefinition. He has spent a number of years in the risk management and trading technologies space holding a Financial Risk Manager qualification from the Global Association of Risk Managers. Previous experience includes HSBC, Deutsche Bank, Morgan Stanley and many others. He is also an investor, advisor and Fintech mentor with an active interest in building fintech community ecosystems. He is passionate about digital transformation, innovation and disruption through partnerships and creative investment strategies. Supervising over digital channels for Retail Clients and public portal of the bank. 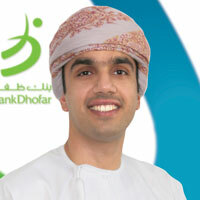 He is responsible for bank’s online activity (management over online communication) and online sales results. Chief Digital Officer in Digital Program Bank’s Transformation. Since 2015 as the Director Operations, he was a part of the BGŻ Optima brand, the first fully online, savings bank in Poland. 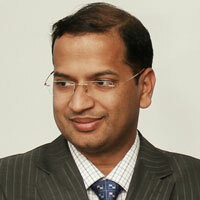 He was a member of PMO Team during merger of BGŻ and BNP Paribas, responsible for digital area. Supported migration of internet and mobile platform from ex-BGŻ systems. He was one of the co-founders of Tax Care, a nationwide network offering accounting and financial advisory services. Previously worked for PricewaterhouseCoopers and Boston Consulting Group. Graduate of Finance & Banking and Marketing & Management at Warsaw School of Economics. New technologies enthusiast, innovator and solutions creator, who turns visions from paper to reality. Successful manager with proven track record of effectively developing and implementing strategic, cross-functional initiatives in financial services. Rare combination of management consulting approach with extensive in-house hands-on experience. Involved in 5 banking start-up projects: founder member of Alior Bank and Alior Sync; strategy consultant involved in Telenor, MTS and T-Mobile Banking Services. Currently, as a Managing Director and Head of Digital Transformation in BGŻ BNP Paribas, responsible for digital transformation, including cooperation with startups ecosystem and new ways of working (Agile & Design Thinking). His main objective is to support Bank in its journey ‘from bricks to clicks’. 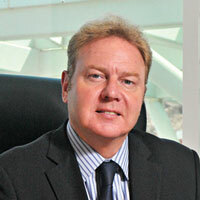 Robert Fischer is having more than 20 years’ experience in banking business. After starting in controlling area he switched to credit processing being responsible in centralizing and standardizing all back-office entities in Bank Austria. After that he was focusing on global tasks by implementing a shared service center in Poland and finally managing cross country credits business for UniCredit mature markets. By leading an internal consulting team, he was establishing for all back-office entities in Austria a standard operating model based on Lean Management, Lean IT and Lean Six Sigma. Currently Robert Fischer is supporting the CEE Banks in UniCredit Group in implementing digital processes for all major bank products. 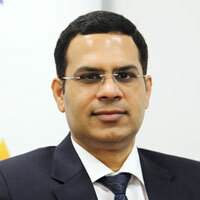 Sanat Rao is the Chief Business Officer and Global Head of Infosys Finacle. 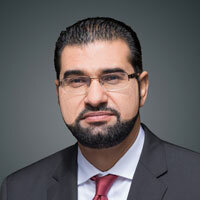 Sanat has over 26 years of experience in international banking and technology led business transformations. His experience spans strategic partnerships with clients through their digital journey across multiple markets globally. In his present role, Sanat is responsible for growing the Finacle business and driving industry leadership with innovations in the banking space. 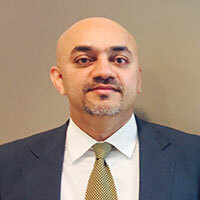 Having started out his career at ANZ Bank, a global financial institution headquartered in Australia, Sanat has had stints with marquee global financial technology organizations. 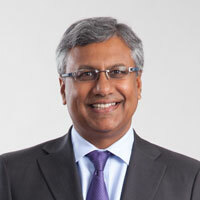 In his previous role as Vice President and Executive Partner at IBM, he was responsible for a portfolio of offerings including cloud consulting services, CIO Advisory, core banking, digital foundation and payments in the BFSI space. He was also deeply engaged with fintechs in identifying and nurturing new partnerships that could prove disruptive in the market. In 1999, Launched World’s 1st e-wallet on a credit card in Korea for MasterCard with Korean + Japanese banks. 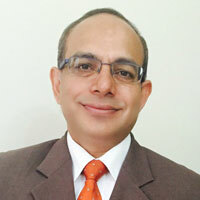 MD/COO/Board & Banking, Mobile App Security expert with 25 years global tech experience in US, UK, Europe and Asia. Projects and new product launches for Master Card, Gemalto (#1 mobile security company in world), US and Canadian banks, & FinTech. 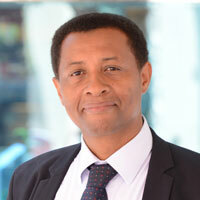 Mr. Shukri Mustafa is the Chief Operations Officer (COO) and Board Member at Raiffeisen Bank Kosovo. 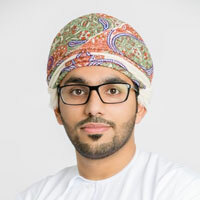 His educational background includes the graduation on Banking and Insurance at Vienna University of Economics, graduation on International Engineering Management at Vienna University of Technology. Mr. Mustafa works also as a Consultant to Raiffeisen Bank Albania Board, responsible for consultancy at Operations, IT area, Project Office, Cost Management, Facility Management, Lean Management, IT Security and Physical Security. Previous work-related experiences include positions as Corporate Relationship Manager at Raiffeisen Bank Croatia, Head of Operations Division at Raiffeisen Bank Kosovo, Head of Internal Audit at Raiffeisen Bank Kosovo etc. Mr. Sridhar Pinnapureddy is a highly successful serial entrepreneur of technology and IT infrastructure business. 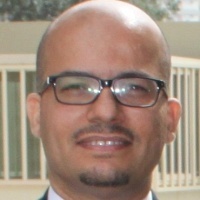 He is the founder, and CEO of Cloud4C. Cloud4C is an emerging global player serving over 2,500 customers across the globe including Fortune 500 enterprises. Mr. Pinnapureddy is regarded as the thought leader in the datacenter and cloud industry and has steered over 200 innovations. He is credited with launching first Tier 4 datacenter in APAC region and has been instrumental in changing the Datacenter Market landscape by building datacenters which can guarantee the highest availability and least energy consumption. He was instrumental in driving two other key innovations (among others) namely – DR on Demand (DRaaS) and World’s 1st Tier-4 Cloud. His strong belief in the philosophy of “total ownership for consistent value addition to clients” is strongly imbibed in Cloud4C as its brand core. Tomasz Dymowski- Head of Retail Banking Department in Raiffeisen Bank Polska S.A. He is graduate at the University of Łódź with major of Accounting & Financial Management and Quality Management. 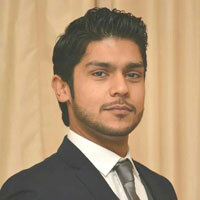 From the beginning of his professional career he is associated with retail banking. His many years of experience in managerial positions was gained in financial institutions like: Nordea Bank, Bank Millennium, Deutsche Bank, Kredyt Bank (KBC Group), BZ WBK (Santander Group). He was responsible for strategy and business development in mortgage area, personal loans, bancassurance and investment products. At present, he manages the entire Raiffeisen Polbank retail products offer, CRM area and development of online and mobile banking. Tomasz is currently an independent Fintech & InsurTech advisor, providing strategic guidelines to the start-up ecosystem players at the various stage of development. 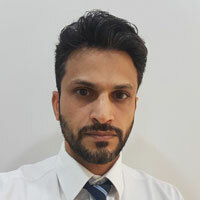 Fairly recently he worked as a FinTech Partnership Director at Alior Bank S.A. With Alior Bank, his goal was to find, guide and foster collaboration with most promising newcomers to financial sector in order to develop and support products and services that truly disturb banking industry and create unique user experience in their respective verticals. Within his role, he and a team of dedicated colleagues managed each stage of the Partnership ‘scheme’, ensuring it delivers on its value proposition towards the Fintechs as well as Bank and stakeholders. Tomasz has particular expertise in implementing new insurance and fintech projects, business models and digital platforms into incumbent’s environment. Tomasz has knowledge of the Polish and European Life Insurance & Banking industries obtained through the close liaison with key financial institutions within a CEE Region. Founder and Chairman of Polish Bitcoin Association a NGO working for propitiate understanding of Bitcoin and Blockchain technologies in Poland. Adviser at Polish Ministry of Digital Affairs in development stream “Blockchain and Cryptocurrency” of “From Poland Paper to Digital” program. 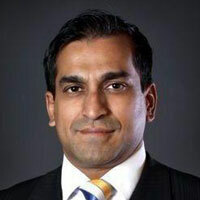 Punit Bhatia, is senior manager with international experience across three continents. 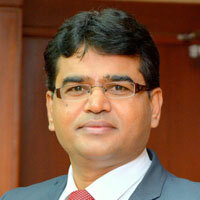 In last 19 years, he has managed multiple strategic change and transformation programmes in large organizations. He loves to define vision and put structure for complex programs. Punit lead the setup of GDPR implementation program at ING Belgium. In last 18 months, part of Privacy Office at ING Group, he has guided and steered 30+ countries with GDPR compliance. Punit is an author of “Be an effective DPO” and “Be Ready for GDPR”. He is also an active speaker at events and guest lecturer at Solvay Business School in Brussels, Belgium. Open banking expert and strategic consultant in the area of digital business, online sales of complex financial products (banking & insurance), user and customer experience. 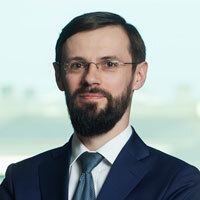 Maciej Kostro led or participated in projects for leading Polish financial brands such as mBank, PKO Bank Polski, BG¯ BNP Paribas, Bank Pocztowy, Raiffeisen Bank or UNIQA as well as fintech companies (e.g. Fintech API) in the area of open banking. The Polish Bank Association (ZBP) - Self-government organization of banks, established in 1991, founded on the Chambers of Commerce Charter. Membership in the ZBP is voluntary and open to all banks created under the Polish law as well as for foreign credit institutions branches operating in the Republic of Poland. The Association of Polish Banks is a member of the European Banking Federation, the International Association of Banking Security and the European Payments Council. The Polish Bank Association is the initiator of the creation of the standard for open banking API in Poland (Polish API) in accordance to the PSD2. features thought leadership interviews about IT, IoT, mobility, payments, security and “smart” solutions. Our flagship “In The Boardroom” program, now in its 15th year, has delivered outstanding content marketing and lead generation results for leading global brands such as: <="" a=""> Dell EMC, HP Cybersecurity, Gemalto, HID Global, ImageWare, Siemens Security and SONY Security, just to name a few.